Two fantastic tracks from Eighties Ladies – both co-written by the team of Roy Ayers and Edwin Birdsong – who both brought their best styles to play! 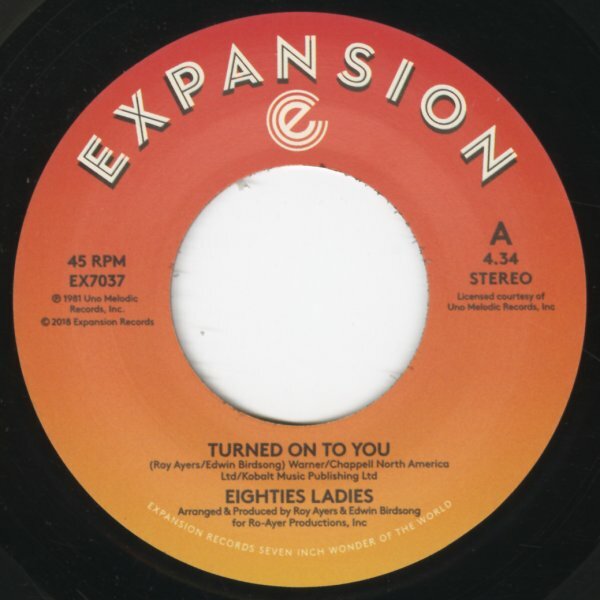 "Turned On To You" has a romping rhythm and a very famous guitar sample at the start – and "Ladies Of The Eighties" is a bit more upbeat and clubby, like some of Roy Ayers' best club tracks of the time! © 1996-2019, Dusty Groove, Inc.